On April 2, 2019, the Global Youth Lab was launched at the Inno Way, ZGC's central pedestrian boulevard, which is home to numerous new and pioneering companies focusing on artificial intelligence, blockchain, algorithms and data analyses. The Lab is meant to serve as a support and all-round platform for young entrepreneurs around the world. According to Dai Binbin, head of Haidian District, the Lab is expected to help ZGC become an international talent center, amassing a diverse slate of innovative ideas and cutting-edge technologies. Young entrepreneurs, especially foreigners, who have registered their businesses in ZGC, can now enjoy streamlined entry-and-exit procedures and financial support, said Zhao Xin, the deputy inspector from the ZGC Administrative Committee. 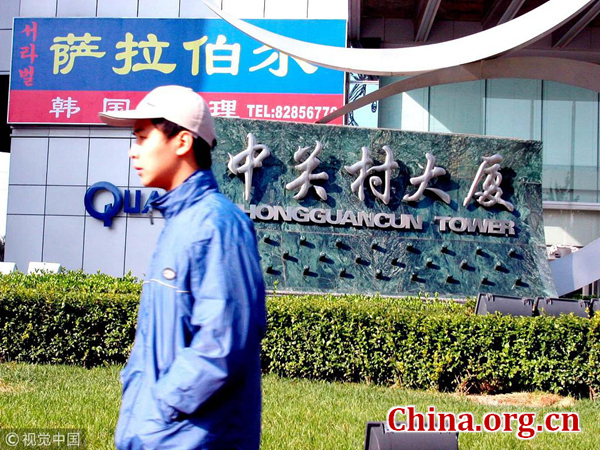 According to Zhao, the preferential entry-and-exit policies benefit four kinds of foreigners: technologists employed by ZGC enterprises, foreign employees of the start-ups registered there, overseas Chinese and foreign students in China. The Committee can also finance companies applying for the "Little Eagle Plan for Talents," which has a subsidy ceiling of 100,000 yuan (US$14,894) each. The fund is accessible to young foreign entrepreneurs who are below 35 and are leading figures in the start-ups that focuse on top-notch technologies. According to Zhai Lixin, deputy director of the Committee, the innovation-centered initiative in ZGC has attracted about 40,000 Chinese students who have returned from overseas universities as well as 10,000 foreign experts. It has also helped conceive and nurture many well-known start-ups, such as the smart chip manufacturer Cambricon, Horizon Robotics and the cutting-edge news platform, Toutiao.com. "ZGC provides businesses with a great network of IT companies and start-ups, pooling talents, including foreign talents," said Alina Smirnova, a Russian entrepreneur in charge of the Beijing division of Just Al. "The most important point is their supportive and open attitude to foreigners, who are made to feel very welcome here." The Global Youth Lab was launched on April 2 in Zhongguancun or China's Silicon Valley, to better serve promising young entrepreneurs in China.